Ahoy, ye hearties – and parents and grandparents, too! Prepare to embrace the Galapagos while cruising the briny deep with our Pirate Aboard Programme. The captivating cruise programme has junior buccaneers living the pirate life while exploring the coolest islands in the Pacific aboard the expedition yachts Santa Cruz II, Yacht La Pinta and Yacht Isabela II. Pirates Aboard engages guests ages 6-12 with educational activities that delve deep into the fascinating wildlife paradise around them. No need to walk the gangplank to enjoy in the Pirates Aboard Programme. Rather, youthful participants jump into “kids’-style” diversions for a better understanding and appreciation of the amazing biodiversity of the Galapagos. All Jack Sparrow-wannabees are handed a draw-string bag on arrival containing an array of materials. These include an Activity Book – with colouring and drawing, games, diary entries, map, educational texts and of course, stickers. The book was specially designed by illustrators in conjunction with our staff expedition teams. Young pirates also receive colouring pencils. True to our mission of making everyone welcome and comfortable on board, all our boats offer special kids-style menus, children’s books, DVDs and games in the libraries, and visits to the bridge to spend time with the Captain and navigators. Our on board staff can – depending on boat, group numbers and occupancy – arrange treasure hunts, cookery classes, pirates’ disguises, towel-sculpting, knot-tying, panga rides, handicraft making and quizzes for the young ‘uns. Families can choose from a range of 3, 4, 5, 6 and 7 night expeditions aboard the Santa Cruz II, La Pinta and Isabela II. All yachts are staffed with knowledgeable, English-speaking naturalist guides, and offer exceptional on board service. 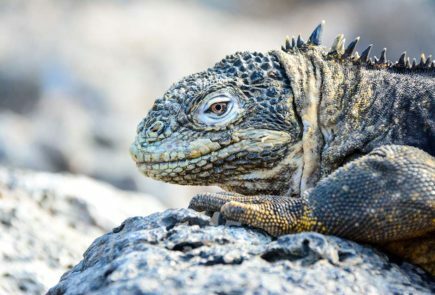 The Galapagos Islands are a dream destination for families travelling together, especially those who enjoy the outdoors, with plenty to see on short, exciting excursions on land and at sea.